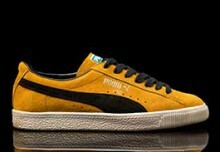 During the early and mid 2000’s, the PUMA Clyde experienced its most successful and popular period. There were countless collaborations, limited editions and a steady supply of quality general releases. 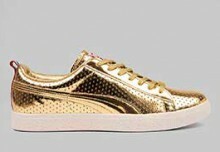 The Yo MTV Raps release that came in 2006 are arguably still the best that PUMA have ever made. The project saw the release of a Pink pair which was limited to 150 pairs and this Green Promotional pair, of which only 50 were made. Yo MTV Raps was a popular television show during the 90’s that showcased the latest Hip-Hop stars, videos and performances. At the time they also had a range of playing/trading cards. The shoes incorporated the same graphics and patterns that were used on the TV show and cards. 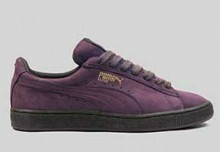 The shoes themselves had black suede running down the front tongue, lace-stay and toe section. The sides had Line green unbuckle with Purple details. Both the rear heel and tongue had custom You MTV Raps signage. They came with both Black & White fat laces, to complete the 90’s Hip-Hop theme. A few years ago a mystery batch of pairs appeared on an auction site which shocked many. For those fortunate enough to get both articles, there were slight differences to the original Promo pairs. Their shape was slightly off, none came with any trading cards and their boxes had descriptions of Lime Green. The original 50 Promo pairs were all labelled as samples and in the same boxes as the Pink pair. It’s possible they were planned for release at the same time as the Pink pair but later held back. Whatever the case it made for a welcome discovery for many that missed out first time around. 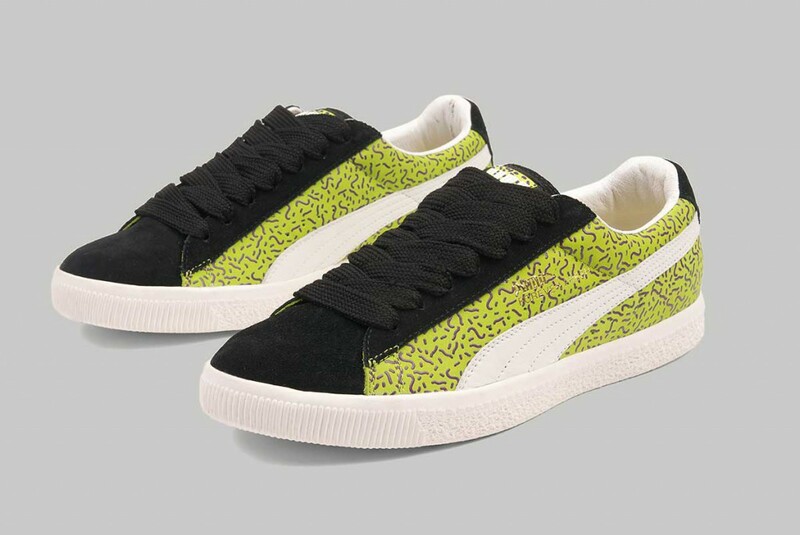 Apart from original and vintage articles, they still remain one of the most sought after PUMA Clyde’s almost 10 years later. For a time now it’s been a model which hasn’t seen any new editions, but with examples such as these, people can still enjoy the greatness of this model.